Use our guide to writing in formal Spanish to help you write that letter of application. Writing in formal Spanish is an important skill whether you’re dealing with a government bureaucracy or if making a request at work. Diana Mejía helps you through each step of writing a letter in Spanish. For many natives and foreigners alike, it can be a challenge to get used to formal Spanish and the semi-formal communication style expected at work or other similar settings. While formal Spanish writing is much more verbose than in English, there are some key structural and grammatical guidelines, as well as cultural niceties that can help you become comfortable communicating in a more official environment. Yo: Hola, María Fernanda, ¿cómo estas? MF: Bien, bien. Gracias ¿y tu? MF: Ah, bueno. Me alegra. E-mail, on the other hand, tends to be more direct and uses semi-formal language. In order to quickly identify the matter at hand, remember to keep the subject – el asunto – brief and to the point, avoiding the use of prepositions (de, para, desde, hacia, con, contra) and articles (la, el, los, las). Note that the proper punctuation after a greeting is a colon, although it’s common to see a comma as is used in English. Formal letters are less flexible in their format and structure, and have many similar elements that are used regardless of the topic at hand. Because of their formal nature, more courteous language should be used. This includes the use of “usted”, instead of “tú”, even if it’s a letter demanding something or giving an order. Unless it’s written on behalf of a group of people, a letter should always be written in the first person singular; that is “le escribo”, “lo saludo”, “espero”. So now, let’s break it down step-by-step in order to put a letter together. Write the city, followed by the day, month and year. Do not add a comma between Bogotá and D.C., as this forms part of the city’s name. 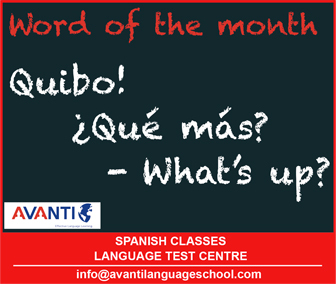 Do keep in mind that days of the week and months are not capitalised in Spanish. Complete address without abbreviations such as cll. or cra. (if the city is the same as in the date and address above, write “Ciudad” instead of writing the city’s name a second time). Used in the same way that an e-mail subject would be: concise and to the point, without any unnecessary prepositions or articles. You may safely stick to “Estimado/a” followed by the title and last name of the person the letter is addressed to. If you don’t know the name, try one of the greetings discussed in the email section. Starting a letter is usually the hardest part. Use one of these handy stock greetings to avoid getting stuck in a rut! Because formal letters always express something important, their purpose should be made clear early on in the body of the text. Much like a newspaper article, it is recommended to use the pyramid method, where the most important information is placed at the beginning and any subsequent paragraphs are used to elaborate on details. Take a look at the examples to get an idea of how body paragraph should be written. Following basic grammar rules will enable you to come up with any other body paragraphs, as needed. Remember that a sentence is composed of a subject followed by a verb and the direct complement: sujeto, verbo y complemento directo. • Me gustaría agradecerle la oportunidad de trabajar con la universidad. • Dicha decisión corresponde a motivos estrictamente profesionales. While there are many ways to close a letter, any one of the following will do. However, remember to choose only one. A través de esta carta dejo constancia de mi renuncia al puesto de trabajo como docente de inglés, el cual llevo desempeñando los últimos 2 años. Dicha decisión corresponde a motivos estrictamente profesionales. Por tal razón, a partir del viernes, 30 de junio de 2017, dejaré de ejercer el presente cargo. Hasta la fecha dejaré mi puesto en orden, incluyendo cualquier empalme que sea necesario. Me gustaría agradecerle la oportunidad de trabajar con la Universidad, ya que logré crecer profesionalmente y personalmente durante este tiempo. Le deseo continuados éxitos en futuros emprendimientos. Por medio de la presente hago solicitud del período de vacaciones correspondientes del 23 de febrero de 2016 a la presente fecha. Esta solicitud correspondiente a 10 días hábiles, del 17 al 28 de julio, los cuales han sido previamente autorizados por mi jefe inmediato. Thank you, a very detailed and useful guide.